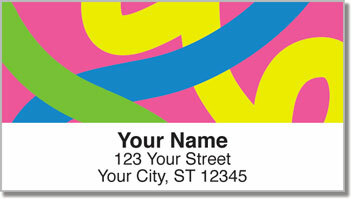 Stick something cool and colorful on your outgoing mail and choose return address labels with originality! Thick swirls of various hues take off in a wonderfully wild and random way. They will ignite your imagination and remind you that creative ideas can come from anywhere! 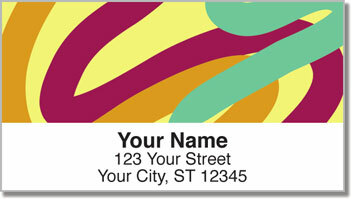 Each of the four eye-catching designs in Paint Strokes Address Labels is unique and will give all your letters and packages a fantastic finishing touch! Plus, you'll be pleased to discover how much time is saved by using this convenient, self-adhesive product. Say goodbye to wring your name and address by hand. Now you can just peel and stick! 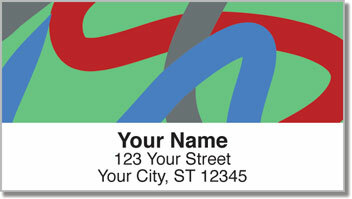 Get your very own Paint Strokes Address Labels now! 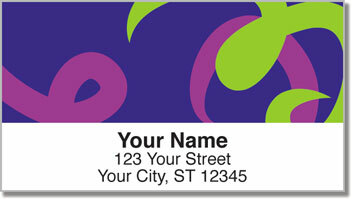 Put something original in your purse when you complete your order with matching personal checks!